Like most humans, I enjoy my own particular flavor of comfort. I love sipping my homemade iced chai, surrounded with whatever music suits my mood. My favorite find is a book to get lost in. I warm with pleasure when I find myself in a protective bubble of like-minded people, close friends, beloved family, and familiar faces. I’ve been abruptly called away from these creature comforts, oh so many times. Sometimes, the call is a roar of disaster. Maybe it’s sitting down for quiet time, only to be interrupted by yet another potty training accident. Or maybe you’ve finally reached the dinner table, only to watch, slow-motion-style as milk flies everywhere—the walls, the floor, and the dog. (Hello, cold dinner!) Maybe you’re finally taking that long-awaited Disneyland vacation, only to wake up the night before with all three kids vomiting in the hotel room. It could be a job change demanding relocation during a housing market collapse. Then there’s car accidents, sudden illnesses, work-related shootings—all ramming like a torpedo through our carefully-crafted card houses. Sometimes, the call is a quiet interruption. Your son appears beside you, tears glistening in his wide eyes while you are balancing the budget; your daughter gently pleas for more time with “just you and me” while the dishes tower menacingly in the sink; three little voices beg for one more chapter when your throat feels like the blazing Sahara. Maybe you see someone grieving silently and know they need you to sit there with them, in quiet, while you neglect your long to-do list at home. It could be the gentle nudge to go visit that lonely Christian sister in the hospital when you’re dying to put your feet up and rest. What’s the one thing I am loathe to do, but must do, if I desire nearness to God?? The call to deny self is rarely obvious, often disguised in unimportance. Each day, I am obligated to fulfill duties, often losing out on those little comforts I love so dearly. Every hour, there is someone clamoring for help, forcing me to set aside things of momentary importance. As I groan with dismay, I have to ask myself: Who do I love more—my God or my self? Who is more important—me or someone else? I can make bold statements about “dying for Christ” or another human, but if I am unwilling to make small sacrifices today, how can I expect myself to make the “big” sacrifice tomorrow? Most of us want to skip the self-denial part and grab up those crosses. Trust me, you won’t get far. Without first denying our wants/desires/needs we won’t get more than a few feet down the road—we’ll be too focused on how painful and inconvenient it is. Willing, cheerful, self-denial makes the burden more bearable because we have our eyes on Jesus instead of that heavy, splintery cross. Do you want to know the good news? When we take this step, we draw closer to Jesus than ever before. Denying self rarely begins some grandiose sacrifice. Usually, it commences the moment we say, “You are more important than me. Your needs take priority over mine. What can I do for you?””You” means friend or foe. “You” means stranger or spouse. “You” means anyone other than me. Has Jesus placed a lone cup of water in your hands and nothing else? No, He’s given us abundantly more. He wants us to give it up for Him or to lay it down for another. To live for Christ is to die to self. The pathway to Jesus demands surrender of our own needs (and wants) to serve someone else’s—whether it’s a roommate, a friend, an enemy, a child, a parent, or a spouse. It begins by choosing to die to self to breathe life to another. In what ways can I train myself to lay down my needs for another’s today? “Sometimes, the call is a roar of disaster.” Wow, great and convicting post. We are so spoiled here in America. We have all the comforts of home and more. This really boils down to what is love, to put other’s needs above our own. I’ll need to come back and re-read next time we have a roar of disaster!!! It was a hard post to write because it exposed the wide expanse of my own selfishness. I had to chuckle every time I got interrupted while writing because I had to remind myself that I was being asked to do the very thing I was writing about. I need a sign in every room in the house and maybe tattooed on my hand that says something like, JOY is Jesus first, Others Second, Yourself last. I forget or ignore these principles far too much! Haha, give me that tattoo, too! I love it when we can share our own humanity. That’s why Moses, Abraham, David, Joseph, Peter, Paul….are all so relatable. We know their shortcomings, too! There is beauty in being confronted with our nearsightedness. When we take up our cross, He is right beside us making sure we get the most from our sacrifice. He will not let us remain unchanged from the experience of following Him fully. Just to see Him face to face is my one desire…God bless you Elihu, remain transparent and the light of Christ will shine brighter and brighter!! Thanks, MariJo. You are such an encouragement to me. I have a long way to go. Every day, I see ever more clearly, the vastness of God’s love and grace towards me. Every day I realize how often I neglect to show gratitude by clinging to the unnecessary things of this world. I’m learning—slowly learning. Like wise, you help to keep my head above the waters! Iron truly sharpens iron on this long journey! I couldn’t agree more. The longer I stay at it, in His presence, the easier it is to let go of the unnecessary. Empty hands can be filled fully! You’ll get there, I’ll get there and we shall rejoice. When the cross is heavy and tough to bear, the reward is all the sweeter! Thanks, Vincent! How are you doing? Yes indeed! I think we get too comfortable—especially in America—and forget what Christ has called us to do. Thank you so much for sharing this post. God be with you. 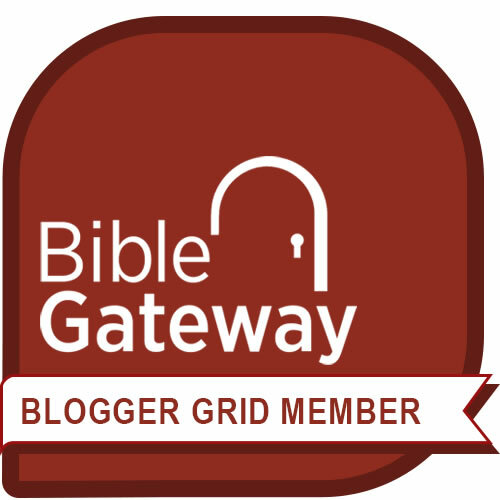 May God continue to bless your blogging ministry!